The Spiral Tunnels that the rail lines run through near Field, B.C. 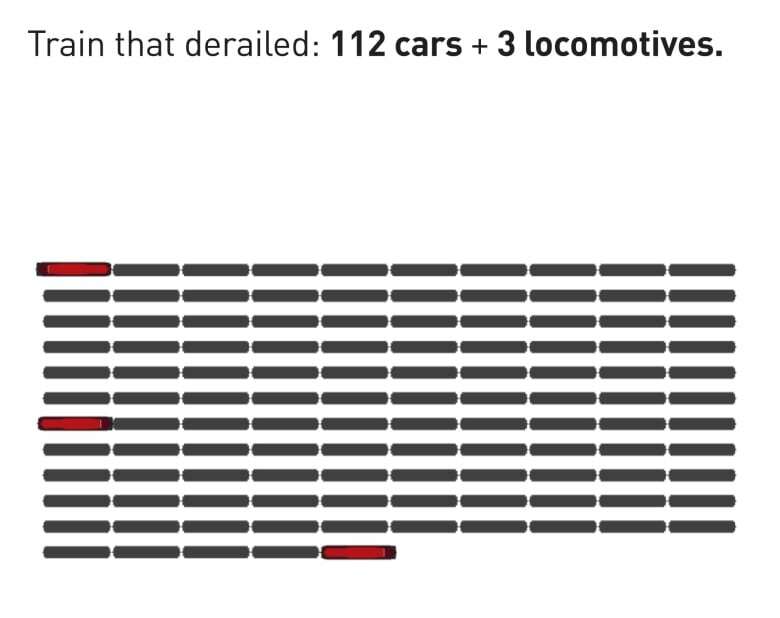 — where three men died when a train derailed on Monday — was built in 1909 to reduce the track grade, but remains one of the steepest sections in North America. 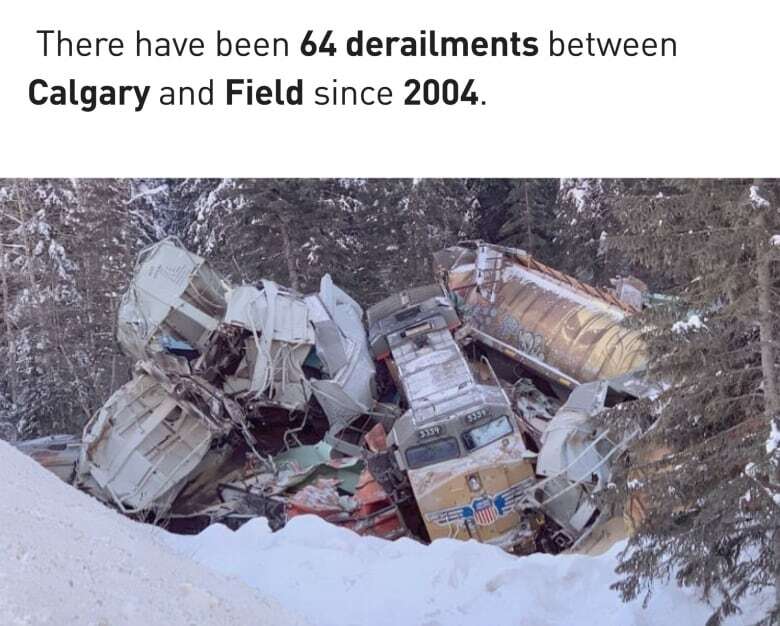 The deadly derailment of a westbound 112-car runaway freight train that claimed the lives of three crew members Monday near Field, B.C., will be under investigation for some time. 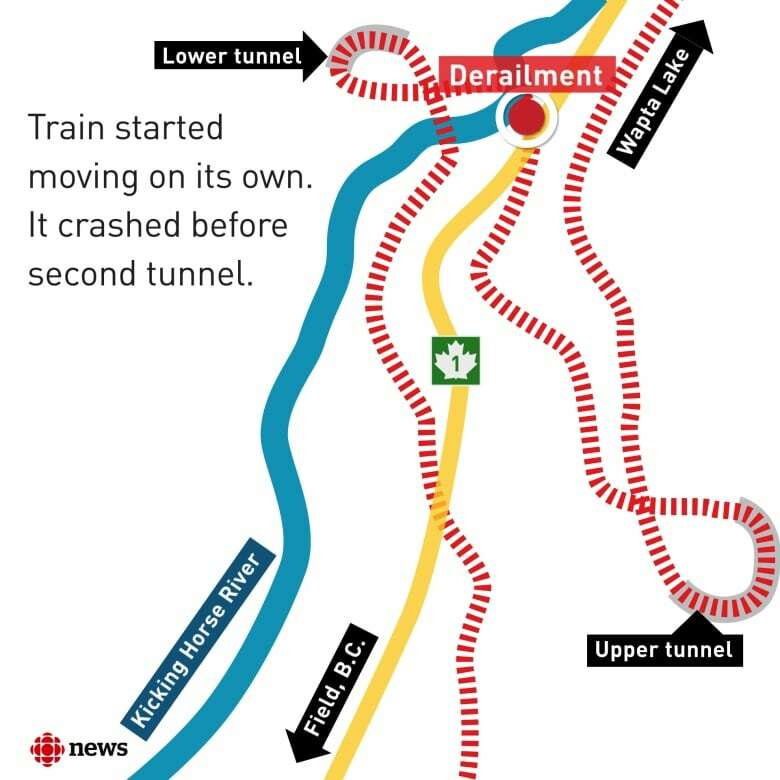 Engineer Andrew Dockrell, trainee Daniel Waldenberger-Bulmer, and conductor Dylan Paradis were killed when a Canadian Pacific Railway train derailed on a curve near the Spiral Tunnels and plunged into the Kicking Horse River. Here's what we know about the train and that section of track. 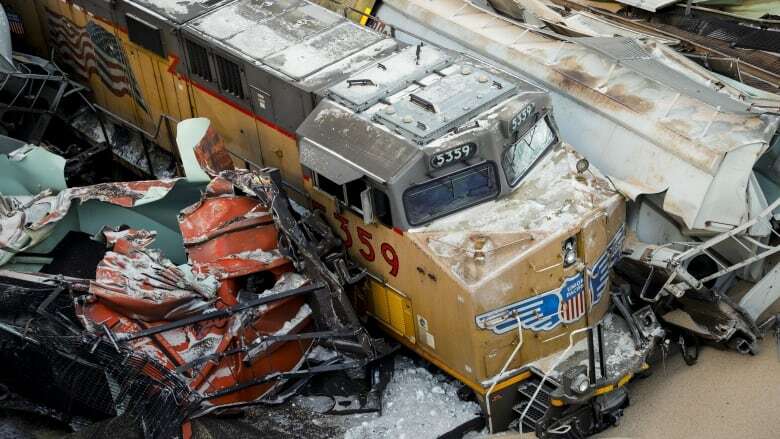 The Transportation Safety Board said the freight train, which had 112 cars and three locomotives, had been parked with emergency brakes locked at the upper tunnel for two hours when it started to move. That set the train rolling down one of the steepest sections of railway in North America, one that involves sharp turns and two tunnels. 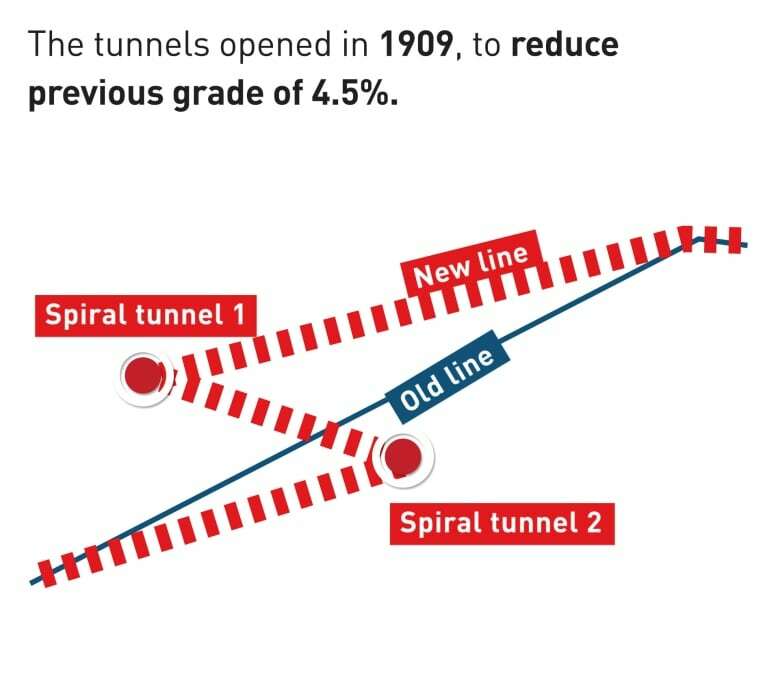 The Spiral Tunnels were built in 1909, replacing an even steeper line that took a direct route from the mountain pass to the valley floor. That old route, which was in place for 25 years, was twice as steep as the current route. Derailments, however, continue. 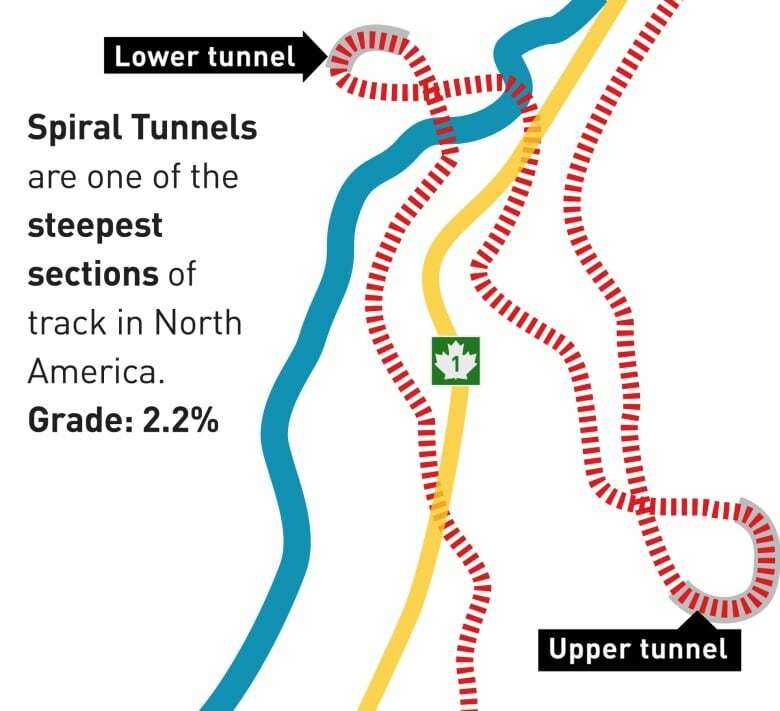 Nearly half of those between Calgary and Field since 2004 took place within 30 kilometres of the Spiral Tunnels. No one was killed in any of those incidents. The investigation into the crash on Feb. 4 is ongoing.